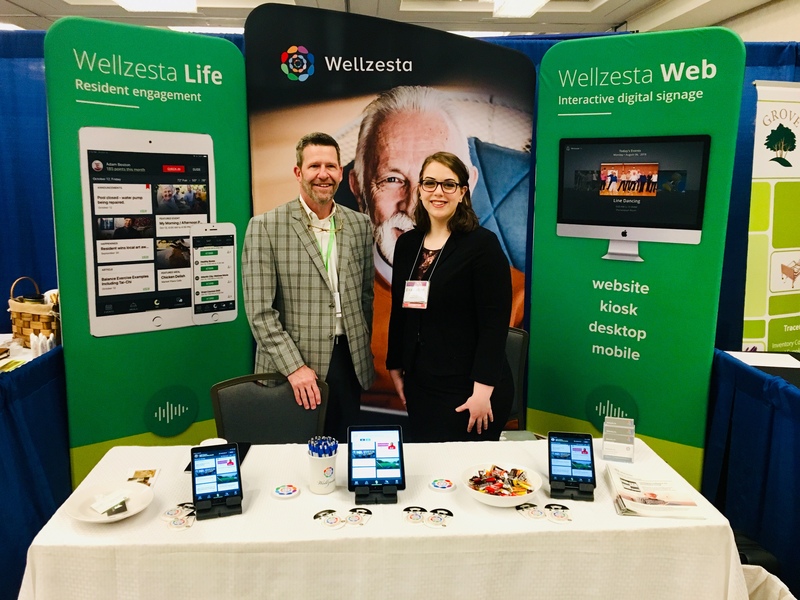 Wellzesta's Director of Sales, Mark Lenox and Evangeline Wilds, Client Success Specialist at the LeadingAge GA/SC Annual Conference. Technology is defining the future of senior living. Tech was discussed in multiple sessions on innovations like big data, smart gadgets, and interactive booths, like Wellzesta’s, at the trade show. Many who stopped by our booth mentioned that “going digital” was a priority for their communities as they looked to the future. Wellness programming is essential. Rather than viewing wellness as an “add-on,” communities are now viewing it as integral in their residents' daily lives. Wellness programming will not only boost sales, but it will help current residents remain healthier longer - and help them achieve their potential as well. Wellness is for everyone. It can be a part of daily life for residents from Independent Living all the way to Memory Care. However, it is crucial to understand the way that residents learn in various cognitive states in order to effectively help them participate and find purpose in wellness programming. Cyber-security is a concern. As hackers find new ways to infiltrate databases, it’s more important than ever that staff stay alert to threats and communities ensure that networks are secure and data is protected. Privacy has always been a top priority for Wellzesta, and it is for our partners, too. Relationships are crucial. Seems obvious, but as I met so many passionate people who are committed to providing the best for their residents, I was reminded of the power of personal connections in the lives of those we serve. We had a great conference - thanks to all who attended and shared your stories with us. I look forward to connecting again!